Quickly access your email without a web browser. Is there a better alternative to Finch for Inbox? 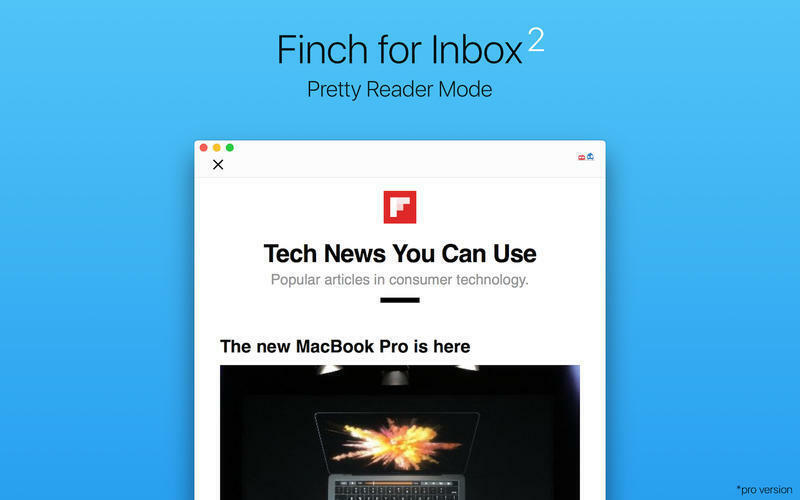 Is Finch for Inbox really the best app in Email category? 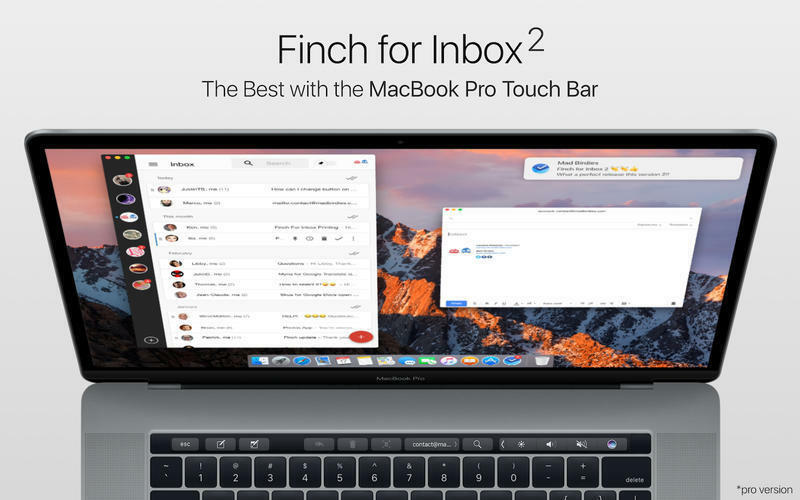 Will Finch for Inbox work good on macOS 10.13.4? 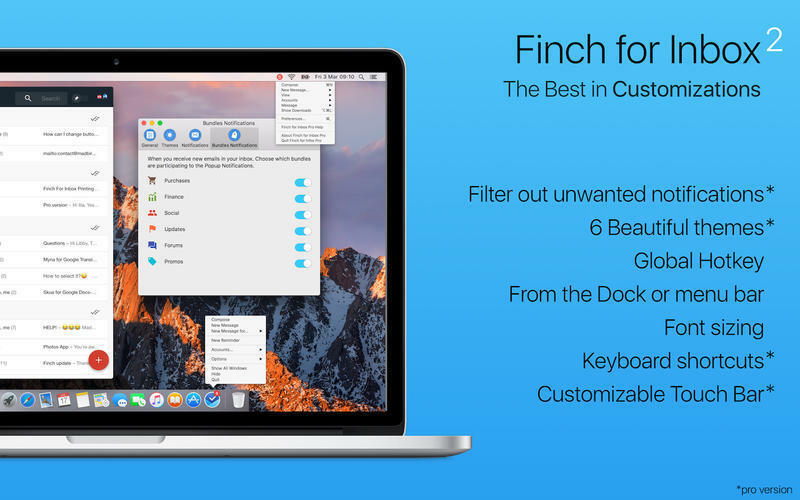 Finch for Inbox is an advanced Inbox by Gmail desktop client on your Mac. 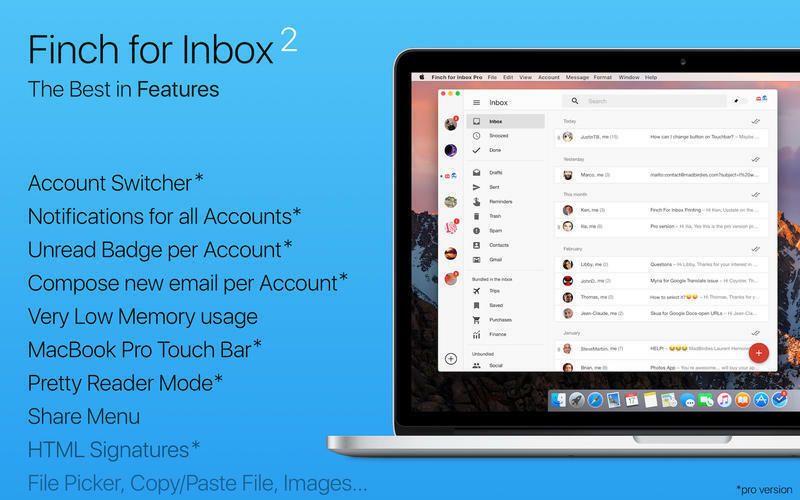 It's perfect for quickly accessing your Inbox account without ever needing to open a web browser. Full of extra features exclusive to Finch for Inbox. 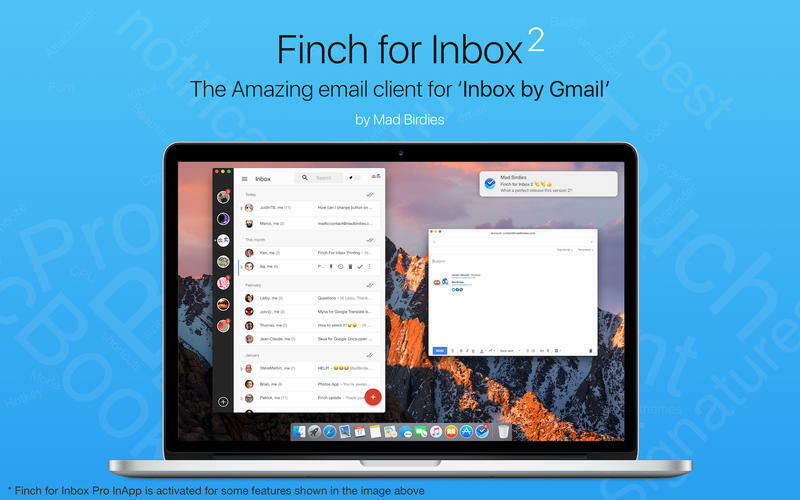 Finch for Inbox needs a review. Be the first to review this app and get the discussion started!